Who's the strongest little kid in the nursery? Your baby, when you set them up with this strong man costume. He can't use words yet, but did you see him lift that one ton bar? Holy moly! 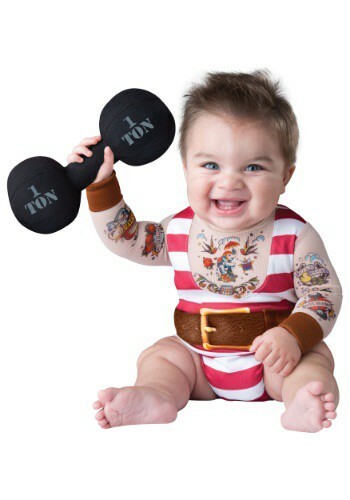 This Silly Strongman costume makes for a hilarious costume idea for infants and toddlers, and will definitely show off your little guy's strengths! She's never too small for a little witchcraft! 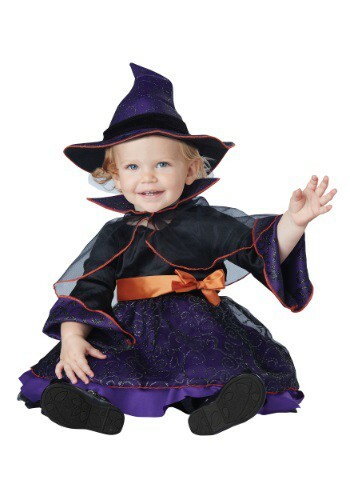 Start your baby out right with this Infant Hocus Pocus costume. Sure she won't be able to stir the boiling cauldron, and she won't be able to read the spell recipes. But she will be able to be cute as any witch could be! This costume is an adorable way to start your family's Halloween traditions out right. All it's going to take is a little hocus pocus! Even Santa had to have been a baby once. And his mother may have dressed him in something like this Santa Baby Newborn Bunting. Even if she didn't, you can! This soft bunting and hat are as cute as can be.